While looking through Wee Wonderfuls, it's impossible not to think about the dolls we treasured as children. In fact, just recently, Melanie and I were reminiscing about our personal favorites. Shown above is my stuffed bear, Smokey, who I've had nearly my whole life. Below is Melanie's old-fashioned girl, a gift given to her by her grandmother when she was about 5 years old. 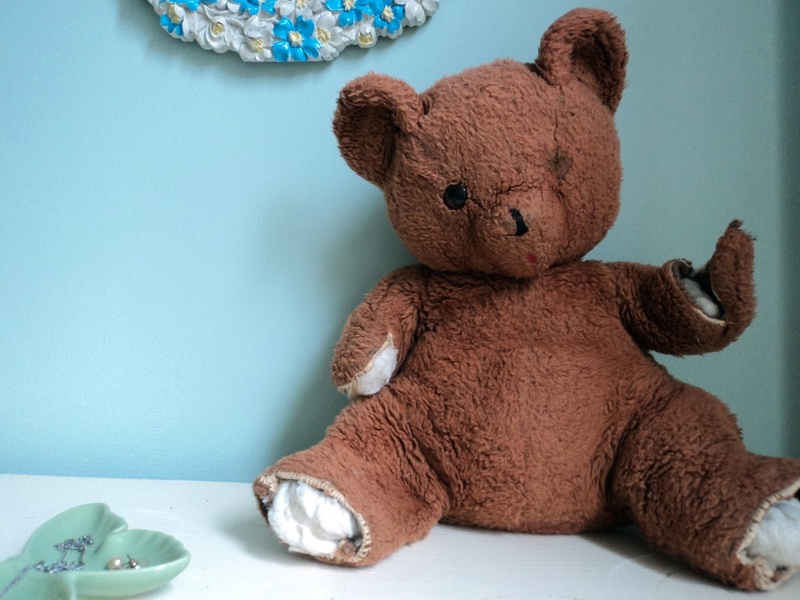 While I took Smokey on many adventures--vacations, camping, sleepovers--Melanie says that she kept her doll close to home, sometimes playing with her pretty dress and bonnet and the lacy petticoat and bloomers underneath.